All the creative assets you'll ever need, in one place. You're probably aware of the pain of having to scour the web for design resources every time you have a project. To streamline your design process, do yourself a favour and get a Webmaster Design VIP subscription for an extensive package of designer assets. A gold mine of design elements, this offer grants unlimited access to thousands of stock photos, textures, mockups, vectors and so much more. Once you download an asset, you're free to use it forever. Plus, you'll also get to download every addition to the collection in the future at no extra cost. 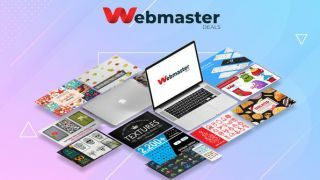 Start beefing up your resource collection and snag a lifetime subscription to Webmaster Design VIP today for only $49 – 95 per cent off the usual price.